From timesheet’s and tax returns to marketing media, we list the best apps for small business management. Whether you’re a freelancer or a CEO, get the down-low on the software systems you should download. Boxmeup: If you’re dealing with product shipments and supplies, track your business deliveries at any time using the Boxmeup website. BufferApp: Coordinate your social media posting, businesses activities and content across everything from Facebook and Twitter to Google+. Casual.PM: Offering a visual management platform, Casual.PM allows you to conduct a unified, collaborative process when working on group tasks. Canva: For instant graphic design, create posters, social media posts and a variety of content with a simple to use online app. Filled with millions of layouts, stock imagery and illustrations, you can drag and drop elements for you ideal brand design. Clean Master: Quick and efficient sharing will transfer your files swiftly across to clients, customers and co-workers. Deputy: Manage your staff and schedule timetables and allow them to switch shifts without having to get involved. Expensify: Expensify allows you to link your credit or debit card so that the app will place charges directly on an expense report when on business trips. You can also take pictures of your receipts and the app will send the relevant information. Fuze: For a videoconferencing app that hosts online meetings across all device types, Fuze offers high-definition video and audio, for a free, seamless download. Genius Scan: Need to be reimbursed? Scan and send your receipts automatically with Genius Scan. Gmail Delay Send: Schedule emails to target your recipient more effectively. Gmail Delay Send allows you to specify your recipient's time zone and logs the most convenient time to pass on your message, so the timing is perfect for your prospect. Google Keep: For quick list creation and tracking your to do’s Google Keep allows you to transfer content between your computer and phone. Gusto: This app streamlines your payroll, tax and benefits, automatically dealing with legal obligations like local, state and federal tax filings, deductions for benefits and workers’ comp payments and emails digital pay stubs to employees. Invoice2Go: Create professional invoices and quotes from anywhere and send them from your laptop, smartphone, or even your apple watch! 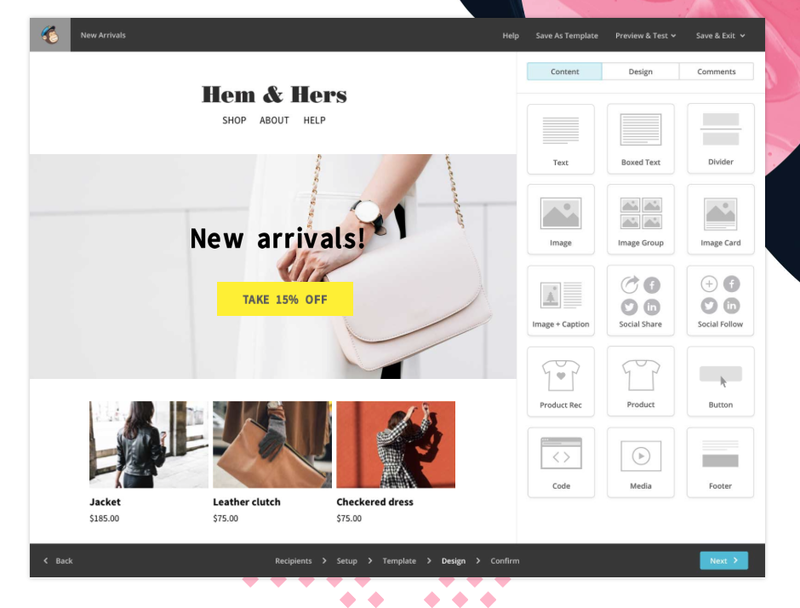 MailChimp: Email marketing made easy, MailChimp manages your mailing lists, and creates and sends beautifully designed group emails, invitations, updates and newsletters. My Minutes: Perfect for procrastinators, My Minutes allows you to schedule blocks of time for certain tasks, with alerts keeping you focused. PAYMO: Track your employees and the time spent on projects with the easy to use app suited for businesses and individuals. Pocket: Pocket is a bookmarking app that lets you save articles to read later. Proven: Proven helps you organize your hiring, so you can post job listings and sort through dozens of application responses in just minutes. Categorize applicants into yes, no and maybe piles and follow up with your candidates. Pushover: This app sends push messages to any smartphone and organizes messages and notifications from your devices in one common space. With the ability to send 7,500 messages a month, it’s available for a one off $4.99 purchase. Quickbooks: small business cloud accounting from your smartphone and tablet, using QuickBooks you can invoice your clients and get paid from anywhere. RescueTime: Great for freelancers and out of office work, RescueTime provides an accurate picture of how you spend your days so you can stay on top of work in your home office. Remember the Milk: An organisational tool that is compatible with computers and mobile devices seamlessly manages all your tasks easily and sends you reminders, with push notifications and customized task lists for home, work or school. Sanebox: Avoid reading pointless emails with Sanebox. The app separates important emails and summarizes the rest in a daily update. Slack: If you’re looking to reduce work emails, just like a Facebook Messenger for a corporate environment, Slack’s instant messaging allows you to organize your team’s conversations into separate private or public channels or send a direct message. Sharing images and files is made easier, with the option to drag and drop them to your unlimited number of users and contacts. Skitch: Create quick, beautiful graphics for emails, proposals, or presentations. Square: Great for small businesses, this payment app uses a small, portable card reader that you can attach to a mobile device to take fast, convenient payments. Sunrise: For beautiful, simplified calendars, Sunrise syncs with your device in order to create aesthetically pleasing and highly organised calendars. Talon: Talon focuses on producing efficient output for Tweets. If your business mobilises the Twittersphere regularly, you can schedule your posts through this app. TripIt: Consolidate your travel plans into a single itinerary on any device simply by forwarding all your emails. Wakie: Offering the coolest way to wake up and start your work day, Wakie sounds an alarm which then connects you to a random phone call anywhere across the globe. The person will receive 1 full minute to get you out of bed before they are shut off so take a stranger’s motivation and work it out with Wakie! Wave: Free, simple and easy to use accounting software. Perfect for businesses with fewer than 10 employees. Yesware Templates: Rather than rewriting the same message constantly, Yesware templates allow you to save your messages for quick access in Gmail or Outlooks. 1-3-5 List: Built on 1-3-5 rule, use this task management program which divides tasks into 1 big, 3 medium, and 5 small things to be accomplished everyday.